The RBI World Series took over Target Field tonight as the 16 teams competing throughout this week’s tournament took to the field for a pre-game ceremony. For the two Chicago White Sox teams, it was an especially exciting experience because they were able to spend a few moments chatting with members of the Chicago White Sox — the team they have been representing throughout the RBI experience. Kevin Youkilis of the Chicago White Sox chatting with the Chicago White Sox senior league team. 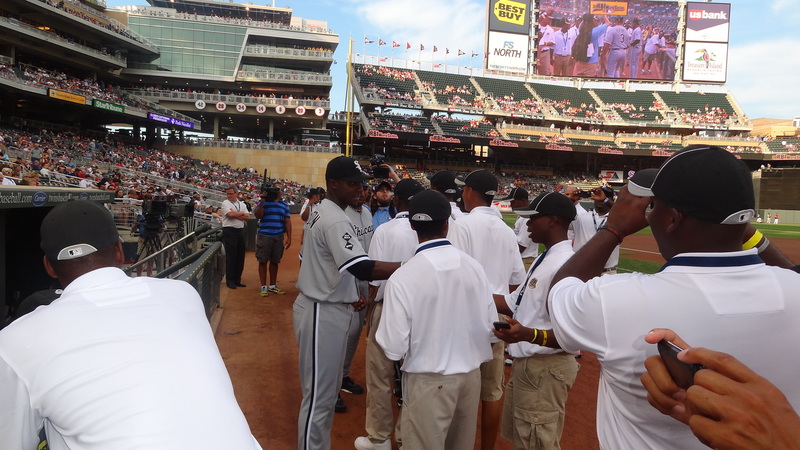 Orlando Hudson greets some of the members of the Chicago White Sox RBI senior league team.